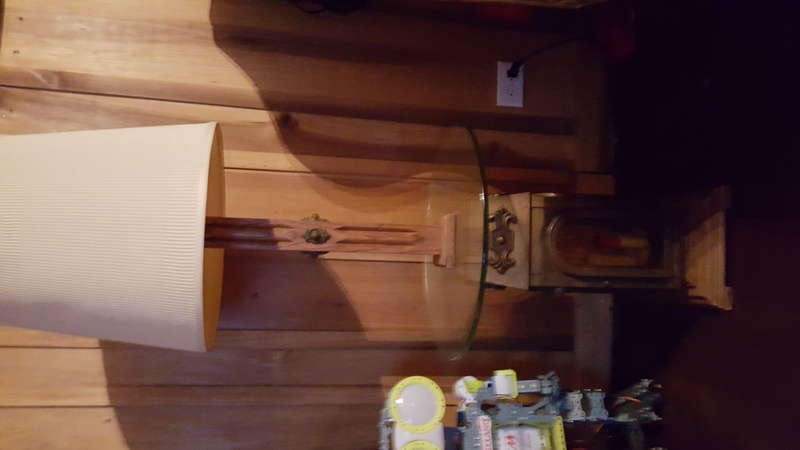 Has some properties that make it a lamp from the period of what I added to left, the tables usually were made of plaster, wood, marble and other materials. They made these in quantity in the period of that link. Usually made in Italy and California where they made these type of table lamps with the big shades also, where there was so much export of these items. I used to see a good variety of the export ware in the garage sales here in Canada in the later 80's and early 90's.